Analysts are expecting Apple to report a significant slowdown in sales growth at its earnings call. 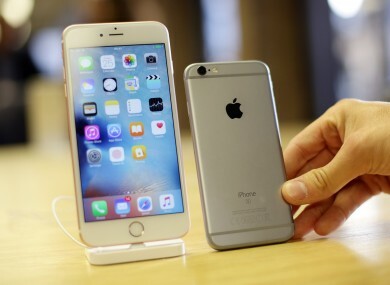 APPLE’S COULD BE facing a challenging 2016 as it’s expected to report a slowdown in iPhone sales growth. The company’s iPhone division has been a core part of its business since it was launched in 2007, usually beating expectations and being a core part of its business. However, according to Reuters, Apple will announce how iPhone sales only increased slightly more than 1% year-on-year, compared to the same period in 2015 where its growth rate was 46% year-on-year. The likely reason for this is how the smartphone market has matured. With most people now owning a smartphone and the differences between models becoming less pronounced, many may not feel the need to upgrade or buy a new smartphone. In the case of the iPhone 6s and 6s Plus, concerns about whether they had enough new features to convince people to buy one. The S range of iPhones tend to be refinements of what came before it instead of new devices, and some feel that more consumers are waiting for the next version, likely called the iPhone 7, to arrive. When the iPhone 6s and 6s Plus were launched, Apple said it sold 13 million units in its first three days, breaking 2014′s record of 10 million, although its still expected to match the 74.5 million iPhones sold during the same period last year. Other products like the Apple Watch, which was released last summer, have failed to set the world alight while other products like the rumoured Apple Car are still in the development phase. It’s also rumoured to be working on a 4-inch version of the iPhone, which is said to be called the 5se which will be announced in March, a departure for the company as it announces its phones in September. Even if its earnings call doesn’t quite go to plan, Apple still has significant cash reserves to fall back on, $203 billion to be exact. Email “Investors are worried that iPhone sales have finally reached their limit”. Feedback on “Investors are worried that iPhone sales have finally reached their limit”.